As parents we can all agree that raising children is the most rewarding experience in life. It is also the most difficult! Parenting is a lot like getting on a roller coaster ride that never ends. It’s fun, it’s scary at times, and once the roller coaster leaves the station there is no getting off. Parenthood also changes us. It impacts what we think is important, and how and where we choose to spend our time. It even impacts how we eat and exercise. Because of the changes, and challenges, of parenthood, many parents find themselves gaining unwanted pounds. Fortunately, the HCG Diet Program is a great way for parents to regain control of their weight—even if they cannot control their kids! Whether you are a mom who has recently given birth, or a dad who is trying to keep up with his teenager on the basketball court, the HCG low calorie diet can help you slim down quickly and permanently. Our affordable program actually works to reset your body’s metabolism, so it’s easy to make changes to your eating habits for the long term. Many who take part in our HCG Diet Program never gain the weight back. This is one important reason why this weight loss protocol has become so popular throughout the US and even overseas. HCG diet food is also a model for healthy eating, both during the intensive phase of the diet and afterwards during the maintenance phase. Kids model their behavior after their parents. This includes their eating behavior. Whether your children are toddlers or teens, they will be exposed to the healthy food choices that have made the HCG Diet Program so successful. Your fridge will be stocked with healthy vegetables and lean proteins instead of the processed meals and junk food that so many American families subsist on. When your kids see you eating the fresh, healthy HCG diet list of foods, they will want to eat these foods, too. So, parents, what are you waiting for? 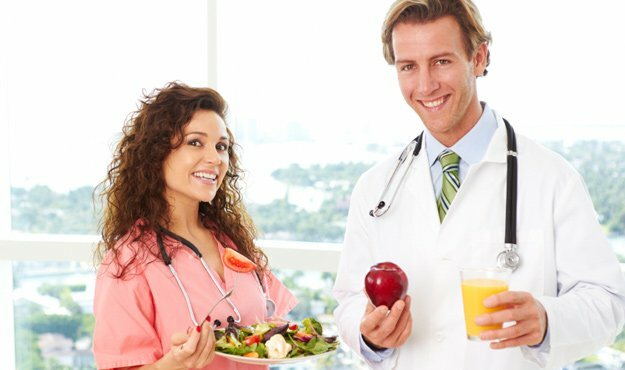 Our smart doctors and their caring clinical associates are waiting to hear from you so they can get you started right away on the program that will not only set a great example of healthy eating for your children, but will also give you the kind of body you need to keep up with the rigors of parenthood! No matter how much money your family earns, if you have kids you know that every dollar counts. If you aren’t spending it today, you are wisely saving it for tomorrow. Choosing a diet program is a financial investment in your future health. It is an investment that’s worth making. Thankfully, our HCG Diet Program Cost won’t break the bank, and is probably far more affordable than you ever imagined. When people first discover our great local HCG diet centers, which have brought this amazing weight loss protocol to individuals from coast to coast, they assume our complete program is going to be very expensive. Fancy “medical spas” and weight loss clinics are charging thousands of dollars for similar programs. Please understand something about us. Our mission isn’t to put a hundred select individuals on this diet—those lucky few that can afford to pay extraordinary fees. Our mission is to bring the highest quality, HCG injection diet plan to the greatest number of people. We believe in this program and want to see it make a difference in the lives of as many people as possible. How do we keep our costs so low? First of all, we have cut the fat from our operations, streamlining them without sacrificing one ounce of quality. You won’t find our clinics in mega-malls sporting marble tiled floors and 4000 square feet of space. We leave all of that “fancy” packaging to our competitors who must to jack up their prices in order to afford those highfalutin digs. Another way we are able to keep your HCG Diet Program Cost to a minimum is by doing such a high volume of business. The more people who do our program, the more affordable it becomes for us to bring the program to you. So by now you are probably wondering, “Just how much does your HCG Diet Program Cost? You’ll have to give us a call to find out. We don’t publish our prices online—why tip off the competition? Shipping and product costs also vary a bit as well, and we don’t want to have to keep changing our web site. However, we will be happy to quote you a price right away when you give us a call. What’s stopping you? It just takes a minute to find out how reasonable this life-changing program is and how easy it is for you to get started on it! Okay moms and dads, you know it’s time to lose weight, and you are researching the different options for doing just this. You know you need a diet that you are going to do, a diet that is going to work for you, and a diet that is going to fit into your lifestyle as a parent. Congratulations on discovering the HCG Program Diet because you can place a big check mark next to each one of these categories. Some diets out there require you to have prepackaged meals delivered to your house. Okay folks, let’s see a show of hands. Who wants to eat heavily processed meals out of a cardboard box and have a permanent date with the microwave oven? You’re not too enthusiastic about it, huh? We aren’t surprised. Besides, this kind of dieting totally incompatible with the parenting lifestyle, which requires us stock our refrigerators with the kinds foods our kids can eat, and to show our kids how to cook, and what to cook, in order to stay healthy. The HCG Program Diet is also great for parents because it’s so easy. As a parent, you have a million and one things to worry about and do, and a difficult or confusing diet is the last thing you need to complicate your life. Our program is really simple and easy to follow, so you can keep your mind on more important things, like teacher conferences, school plays, and watching your son slam a home run in the little league game. During the injection phase of the diet you give yourself a small, once daily dose of HCG and vitamin B-12 just under the skin. Many people find that it is pain-free or almost pain-free. During this time, you are also adhering to an easy to follow and easy to prepare very low calorie diet that uses fresh ingredients right from your local market. Wondering what else the HCG Program Diet can do for you parents out there? Unfortunately, we can’t say that it is going to make your kids think you are cool—that’s something modern science still hasn’t figured out how to accomplish—but we can tell you our program will make you look and feel better, in turn giving your self confidence and sense of well being a big boost. As the saying goes: when mom and dad are happy, the whole family is happy. This is why so many parents who purchase our HCG diet programs end up thanking us for it. Did you know that HCG Diet Program Recipes to Lose Weight can be very beneficial for women who have gained significant weight after their pregnancies? It’s true, and according to HCG weight loss theory, it makes perfect sense. Have you ever wondered why women so often gain weight after having babies? Motherhood means life gets busier, with more running around and less time to enjoy leisurely meals. One would expect new mothers to drop pounds at this time instead of gaining them. So what is going on? The story of weight gain after pregnancy is a familiar one for many women. Changes in lifestyle can be contributing factors, but much post-pregnancy weight gain has to do with hormonal changes in the body. Women naturally produce HCG during pregnancy. This hormone has the effect of causing the body to burn stored fat, if enough calories are not being consumed, and it also works as an appetite suppressant. Because of naturally increasing HCG levels, some women who have struggled with their weight prior to pregnancy find themselves in the best shape of their lives when carrying their babies. For these women, weight gained during pregnancy is “baby weight” and not weight from excess fat. Eating responsibly combined with the hormonal flood of HCG are both responsible. However, when pregnancy ends and HCG is no longer being produced, women can find their fat reserves accumulating. This is especially the case if these women are still in the habit of “eating for two.” The double whammy of plummeting HCG and the continuation of prior eating habits can cause women who have recently given birth to build up and store excess fat. This is where HCG Diet Program Recipes to Lose Weight can be especially helpful. By taking HCG and at the same time restricting your caloric intake, post-pregnancy women are able to get the fat burning and hunger suppressing properties of the HCG. The result is rapid, targeted fat loss. If you are a mom who has put on extra pounds after having recently had a baby, HCG Diet Programs to Lose Weight can be the perfect recipe for dieting success. Here is some HCG Diet Program Information for all of those overweight dads out there. Just because women produce HCG during pregnancy and find the HCG diet program effective for weight loss after having kids doesn’t mean this program is just for women. There is good news out there for dads who have twenty pounds or more to lose. The HCG diet program injections work exactly the same way for men as they do for women, getting stored excess fat on the move and curbing hunger you can get the most mileage from your very low calorie diet. Did you know that dads-to-be often gain weight right along with their partners when they are pregnant? The medical literature calls this “male sympathetic pregnancy” or Couvade syndrome. Doctors don’t know for sure if hormonal changes or psychological are responsible for male partner weight gain, but this phenomenon is real. After a man’s partner has given birth, there are many reasons why he may continue to add pounds in the form of stored fat. Just as motherhood can bring unwanted pounds the same is the case for fatherhood. I am a 45-year-old dad from St. Petersburg FL and I have been in fairly decent shape my whole life. As the years have gone by, however, my weight has crept up slowly. I attribute it to not being as active as I was in my twenties and thirties but even more to simply the fact of getting older. I mentioned to my wife that I really needed to find a weight loss program and she asked if I had ever heard of the HCG diet program. She said a friend of hers had been on it for a few weeks and was losing weight like crazy. It was an odd coincidence because just the day before one of the guys at the office was talking about HCG weight loss during lunch. I started researching the program and made my mind up to do it. I lost all of my excess fat and feel like I did when I was in my twenties. Feel free to add my story to your list of HCG diet program reviews because I am very pleased with the results. The best shape I was ever in was during my pregnancies. I was a cute, chunky kid and overweight teen. In all of the pictures of me growing up, you can see that I was at least a little overweight or even what you might call fat. Then before I got married I went on a diet and lost a lot of weight. I was trying to fit into my wedding dress and I managed to keep the weight off until after my honeymoon—in other words, not very long. My husband had similar experiences and was overweight when we got married. It wasn’t as important to him as it was to me to look slim in our wedding photos. Anyway, it wasn’t until I was pregnant with my first child that my weight normalized. What I mean is, although I was gaining weight as a result of being pregnant, I was also at the same time losing fat from my hips, thighs and face. I got so many compliments from people and one day in a pregnancy yoga class one of the other moms-to-be said I was, as she put it, all baby. Once I had my son it was only a matter of months before the fat was back. I had this same experience when I was pregnant with our daughter. I never knew why this was taking place until I learned about the HCG diet program for weight loss. Finally it all made sense. When I found out that I could get the benefits of HCG without actually being pregnant I knew this program would work for me. I started looking for an HCG diet program Chula Vista CA and found you. I can’t say enough about your program. It worked great for me and I have maintained my weight loss now six months and counting. I would definitely recommend this program for moms with similar experiences. Thanks a ton—ha ha! I grew up in a typical Norfolk Virginia family and my mom did a lot of traditional Southern cooking. Me, my brother and my sister ate a lot of fried foods. Back then, when we are coming up, people didn’t pay as much attention to diet and exercise, so we were all overweight and that is just how it was. I love my mom and now that I have my own kids I feel proud and happy when they say that grandma is the best cook ever. Who can blame them for thinking this way—her cooking is delicious! However, it is important for me to set a different kind of example for my kids. That kind of eating is okay for one night during the week at her house but I want my kids to see a different way. I decided to lose weight on the HCG diet program because I want to be healthy for my kids, but also because I want to set a good example for them. I love the HCG diet program food choices. Everything is simple and nothing is fried. Starches and sugars are to be avoided, which for us is great. My dad is diabetic so it is really important to me that my kids understand that sugars and starches are not good for people who have our genetic predisposition to diabetes. The HCG diet program helped me break old eating habits and the sensible food choices set a great example for my kids so hopefully they will never need this diet. When I do something I always go for the best. The best isn’t always the most expensive, either, as I have learned over the years. 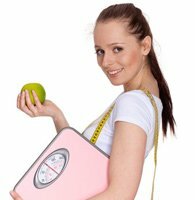 When I started looking for the best HCG diet program I eventually found your weight loss clinics. This was one of those cases where the best solution was also one of the least expensive solutions. I was looking for a doctor supervised HCG diet program with injections but didn’t want to pay a fortune for it. Thankfully I didn’t have to. Your program was everything I needed, nothing more and nothing less. Why did I finally decide to do it? The answer is simple, because I was tired of waking up and looking in the mirror at somebody who I knew could be healthier and slimmer. Like I said, I like the best and that means the best me. For me and my kids here in Laredo TX. Being a dad to my two boys is the best thing that ever happened to me. A few months ago, the boys and I were playing basketball and I found that just couldn’t keep up with them. I had to sit down and take a break. I realized I was at a turning point. I could resign myself to the fact that the boys were going to outpace me from here on out or I was going to do something about it. Heck, I am in my early 40s and as far as I am concerned I am just too young to start sitting on the sidelines. I found your HCG diet program and getting started was a snap. I had sensed the extra weight I’d gained was the problem that was slowing me down and sapping my energy and I was right because once the pounds started coming off I had a huge burst of energy and felt twenty years younger. Now that I am almost 20 pounds lighter I have no problem keeping up with my sons whether we are shooting hoops in the front yard or riding bikes at the park in Madison WI. Mia in Bakersfield CA asks: What is the HCG diet program most well known for? Hello, Mia in Bakersfield CA, and thank you for asking! The HCG diet program has become famous for enabling motivated individuals to lose up to a pound a day without excessive hunger. It also targets excess fat reserves, so if you have stubborn areas of accumulated fat, such as in the belly area or thighs, this diet program is especially useful. HCG for weight loss has been around for a long time but has only recently taken off thanks to the Internet and so many dieters who have shared their stories of success with other future dieters. Our program is a doctor supervised medical weight loss program. We have HCG diet injections for sale only once one of our physicians approves you for this program. Abigail in New Orleans LA asks: Looking for an HCG diet program in New Orleans, LA. Do you have one available? We have HCG clinics and doctors that serve clients from coast to coast. 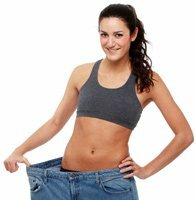 If you are looking for an HCG diet program in New Orleans LA you have come to the right place. Simply fill out the contact form online and we will be in touch with you shortly. Or, for even faster service, just give us a call. Once you fill out the convenient medical history form our doctors will determine if you are an appropriate candidate for this diet. Once you have the thumbs up to start your program, we ship everything you need right to you. It is quite simply the most convenient way to do this incredible diet. Hope that helps clarify things for you. Julie in Cincinnati OH asks: Any ideas for HCG diet program recipes during the very low calorie part of the diet? Food choices for the very low calorie diet portion of the program are limited and consist of lean proteins, fresh vegetables and very small amounts of bread and milk. Complicated recipes therefore are not needed and, to be honest, not really possible. One of the fun things about our diet is that seasonings of all kinds are allowed, so this is the one area where people choose to be creative. You’ll find some examples of HCG diet program recipes here on our web site. Most of our clients like to experiment, mixing and matching vegetable choices with proteins, creating salads, and making simple soups. No fancy ingredients are called for, so you can find everything you need right in local grocery store in Cincinnati OH. Elizabeth in Corpus Christi TX asks: I have heard the HCG diet program requires a 500-calorie per day diet. HCG diet 500 calories seems pretty intense. Can it be done comfortably and is it in any way harmful? A lot of people ask us about the very low calorie diet, worrying that it will be hard to do and that they will not be able to stick to the program. Ordinary, a person eating so few calories would experience intense hunger. However, HCG dramatically decreases the feeling of hunger making it very easy to adhere to the diet without cheating. This is really the heart and soul of the HCG diet weight loss program. As to your question about whether eating so few calories per day is harmful, if you are otherwise healthy and have been approved to begin the diet, the answer is no. The very low calorie diet phase is limited to a few weeks. It is not a permanent way of eating. During this phase you are rapidly burning excess fat and normalizing your metabolism. Once the rapid fat burning phase ends, you progress to eating HCG diet phase 3 foods and ultimately resume a normal diet. Good luck with you program in Corpus Christie TX! Jasmine in Riverside CA asks: How do I know how much weight I need to lose on the HCG diet program? The HCG diet program to lose weight is about getting you to meet your weight loss goals. Only you can answer how much weight you need to lose. However, our doctors and clinical associates will be happy to help you set reasonable, healthy goals. It’s important to realize that your ideal body weight may be totally different from other people. Ideal body weight can be calculated based on a number of factors, such as how old you are, how much fat you have in relation to your muscle mass, how tall you are, whether you are a man or a woman, and even your bone density. The creator of the HCG diet program, Dr. Simeons, felt that simply consulting weight tables was not enough to determine whether an individual is obese. He considered excess, abnormal fat stores to be the true marker of obesity. Therefore people who are not technically obese but who have accumulated stomach fat or fat deposits in the upper arms would be a candidate for his program. Others who are overweight but with fat distributed evenly throughout the body might not be considered obese according to Dr. Simeons. Paige in Tampa FL asks: Can I buy the HCG diet program online? Absolutely! We have a streamlined system for getting dieters like you on this program, so you don’t have to waste your time sitting around in the waiting room of a doctor’s office. Your HCG diet program kit is shipped directly to you as soon as one of our doctors clears you for our program. Not only do you have the ease to buy HCG diet program online, you can also rest assured that if you ever have a question about your diet, you will get great support from our team. We have put thousands of people on this diet, whether they live in Tampa FL or Tempe AZ so you don’t have to worry about the quality of your HCG diet program kit or whether we will be here for you to make sure you get the most of your diet. Christopher in Anaheim CA asks: What is the cost of HCG diet? HCG diet program cost varies depending on provider. Many doctor’s offices and private weight loss clinics in Anaheim CA charge a huge mark up on the program. We have even seen some diet clinics asking a thousand dollars or more for the very same program that our doctors provide. We believe the cost of HCG diet programs should be affordable to anyone who wants to try them so we have worked hard over the years to keep our costs as low as possible so that we can pass the savings on to dieters like you. We do not publish our prices over the Internet but please give us a call to find out just how affordable our complete medical weight loss program truly is. Zoe in Honolulu HI asks: What is included in my HCG diet cost? This is a good question, Zoe, and thank you for writing to us from Honolulu HI. We like to make things easy for our dieters and this how we have built our great reputation. To make things really easy, we offer complete HCG diet kits that include everything you need for this program. Unlike some doctors we know who charge for the office visit, the medication and follow up visits, you pay one low price and you are done. Here’s what you get: a licensed medical doctor reviews your medical history and personal information and approves you for the program, everything you need including injectable HCG, injection supplies and instructions are sent right to you. Consulting with our team of HCG diet professionals throughout your HCG diet program—should you need to—is always 100% free of charge. Natasha in Aurora CO asks: What are the main HCG diet program pros and cons? Every dieter who has tried the HCG program for weight loss has his or her own experiences to share and these experiences can be different. Generally speaking, however, people say they love our program because they aren’t hungry and are able to lose a lot of weight very rapidly. For someone who has been overweight for a long time and is really ready to change things up, losing weight so quickly is highly motivating. Some diet doctors repeat the tired mantra that says you are only supposed to lose one pound a week. For many people this is just too slow and it is hard to stay motivated. With the HCG diet program you see results when you weigh yourself every morning and it is highly motivating. The con that people talk about frequently is having to administer the small injections. Yes, the idea is a little intimidating but people quickly get over it their fears. Hope this helps in your quest to learn about the HCG diet program in Aurora CO.
Rachel in Santa Ana CA asks: What happens if I cheat a little and don’t follow the HCG diet program guidelines? The HCG diet program injection phase is time-limited and we encourage our dieters to get the most out of this phase of the program as they can. In other words, the more calories burned while doing injections the better. Perhaps you are old enough to remember the video arcade game Pac Man from the 1980s. We are sure they had those in Santa Ana CA! In the game, if the Pac Man ate a magic cherry it gave him super powers to move fast and, for a short time, the pursuing ghosts could not capture him. HCG injections are a little like eating a magic cherry. For the short period of time you are taking them, it is as if you have super power to curb hunger and burn calories. After that it is about stabilizing and maintaining your weight, which is much easier to do after a course of HCG injections. If you have invested your time and money in this program and then cheat on it, you will undermine your success to a degree, depending on how much you cheat. Will you still lose some weight? Probably. Will you lose the pound a day that we talk about? Probably not. That said, please keep in mind that you will not want to cheat on this program they way that you have with other diet programs in the past because of the powerful appetite suppressant qualities of HCG. So please don’t let fears about being able to stick to this diet prevent you from embarking on it. You can do it and we are here to help you! Amelia in St. Louis MO asks: How well does the HCG diet program work? In our experience, this program works very well. We would not be in business if it didn’t, nor would we have so many satisfied clients in St. Louis MO and other cities throughout the US. Is the HCG diet program a miracle for weight loss? Some think so, but we always tell our prospective clients that losing weight is challenging even under the best circumstances. HCG diet program injections help stave off hunger and the vitamin B-12 injections with HCG keep you energized and burning fat at the same. We think the HCG diet foods allowed are a fantastic model for eating right. What could be better for you than fresh vegetables and lean proteins that you prepare yourself to your own tastes? If you really want to find out how well does the HCG diet program work, though, you really do have to try it for yourself. Robert in Pittsburgh PA asks: Other than weight loss, what are the HCG diet program effects? The HCG diet program injections that you are taking are a small dosage of HCG and most people of our dieters experience few, if any, side effects from taking the medication other than those effects that are intended. Some men wonder if taking a medication derived from a hormone produced by women will have a feminizing effect. The answer is decidedly no. HCG will not give men female attributes nor will it put more hair on your chest if you are a man. It is simply an appetite suppressant and fat mobilization regimen. In larger doses, HCG can induce testosterone production in males but this will not impact your testosterone levels at the dosage our doctors prescribe for dieters. We appreciate your question from Pittsburg PA.
Sarah in Lexington KY asks: I have two HCG diet questions. First of all, is this the official HCG diet website and second, do you have a book on the HCG diet? We are proud to say we have one of the most comprehensive HCG diet program web sites. If you want to call ours the official HCG diet website, go right ahead! In all seriousness, there are many different diet programs out there that claim to be the official or best HCG diet. Ours closely adheres to Dr. Simeons original HCG diet, and is a doctor supervised medical weight loss program with all HCG made and shipped from licensed pharmacies under FDA supervision. So, Sarah in Lexington KY, if this is what you are looking for you have come to the right place. We don’t yet have an HCG diet book but your question has our doctors thinking about writing one. Please stay tuned! Conner in Anchorage AK asks: Where can I find more information about the HCG diet program for weight loss? You’ve landed on one of our many pages devoted to the HCG diet program for weight loss. We hope we have answered many of your questions right here or elsewhere on our site. If we have not, the answer to your question is probably just a phone call away. One of the reasons why our past dieters give us such amazing reviews is because, in addition to providing them with a great diet, we also provide excellent support from our team of dieting experts. When you give us a call, you may well find the representative you speak to has done the program him or herself. As our clients share their own tips, advice and feedback we try to update our site to reflect this new information. These pages are therefore an ever-growing resource for HCG dieters. We’d love to hear from you in Anchorage AK so why not pick up the phone and give us a call? Courtney in Stockton CA asks: How many times can I do the HCG diet program? If the injections HCG diet program is undertaken properly the first time, there is usually no reason for dieters to do the program a second or even a third time. The great thing about the HCG diet program is that once you have resumed eating normally, weight is not regained, provided that you are weighing yourself on a daily basis and following the instructions in the post injections phases of the program. What we want to know is this: why do you need to do the program again? What went wrong? Let us get to the bottom of your specific situation. Give us a call and we can analyze it. If necessary, you can do the HCG diet program more than once but we want to make sure the second time is the charm. Of course, if you have more weight to lose, then after a 3 to 4 week break, you can continue with the HCG Diet Program. Talk with one of our HCG doctors for all the details. Katelyn in Toledo OH asks: I started searching for HCG diet program Toledo OH when another mom I know from the neighborhood posted on Facebook that she had lost 27 pounds on the diet. Are these kinds of results typical? If you follow our HCG diet program advice you can expect to lose a pound a day during the injections phase of the diet. So, yes, these kinds of results are possible. You’ve discovered that people are talking about HCG weight loss in Internet forums and on social networking sites like Facebook. Why? Because this diet works. It has given people who thought they never could lose weight the motivation and tools they need to finally do it. Should you decide to do this diet for yourself, it’s important not to compare your success with other people, however. Every person is different, and you may lose a few pounds more—or less—than friends from Toledo OH who embark on the same plan. Oliver in Saint Paul MN asks: My wife and I are thinking of doing your HCG diet together so we can surprise our son at his college graduation. I am wondering will our results be about the same if we start on the same day? 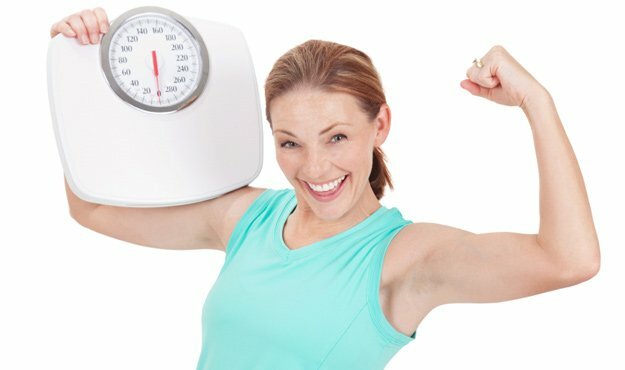 Every person’s metabolism is unique and as a consequence HCG diet program results vary. Our bodies aren’t machines and there is no magic formula to determine exactly how much weight you or your wife will lose on this program. That said, if you start on the same day and both follow the diet as instructed your weight loss numbers at the end of the injection phase should be in the same general ballpark. Please keep in mind, as with other diets, it is a bit easier for men to lose weight then women. It is not uncommon for men to lose anywhere from a few pounds up to a full five pounds more than their female counterparts during the injection phase. Good luck with HCG weight loss in Saint Paul MN! Tanesha in Newark NJ asks: I have been looking into HCG diet program how does it work and other info and I am ready to start my diet but I am out of the house during the day can I have it shipped to my place of business? Certainly. Once one of our weight loss doctors approves you to begin the diet, you tell us when and where you want the program shipped. If you aren’t usually home during the day to accept packages, having it sent to your office is a great alternative. Just give our clinical associates a call to set up the arrangements for the arrival of your HCG diet program kit to your Newark NJ location. Fast, convenient shipping is all part of our promise to you that we will make getting this amazing diet just as easy as doing this amazing diet! Amy in Greensboro NC asks: My niece is fourteen years old and very overweight. I am thinking of purchasing this diet for her. Is she old enough for the program? Hi, Amy, it sounds like you are an aunt with the best of intentions. The problem of obesity in children and teens is a complicated one. Our HCG diet program doctors only work with adults and we do not recommend the HCG weight loss program for children. We suggest as a first step that your niece discuss her weight with her regular pediatrician. This is the doctor who knows her best and is in the best position to advise her, and her parents, about what steps she can take to get her weight back on track. Good lucking in Greensboro NC getting your niece the help she needs. Lucille in Buffalo NY asks: What is the best HCG diet program for me? There are many different programs out there in Buffalo NY and elsewhere that call themselves HCG diet programs but not all of them are alike or even similar. Some use liquid forms of HCG or even call themselves homeopathic HCG drops diets (by the way these are not legal to sell) so when we are talking about an HCG diet program it is important to point this out. Since you are asking us, we think the best diet program for you is probably ours. The reason is that our program is prescribed by doctors, and supervised by them, and all of our HCG and vitamin B-12 injections come from FDA supervised laboratories. You never have to wonder if you are getting a so-called knock off HCG product or an inferior quality of HCG. To find out if you are an appropriate candidate for our best HCG diet program around give us a call or fill out the contact information on line and one of our fantastic representatives will be in touch with you in a jiffy. Chloe in Plano TX asks: Won’t anyone who does a 500-calorie diet lose weight. I really don’t understand the need for an HCG diet program with injections. Please explain if you can. You are right, Chloe. Thanks for your question from Plano TX. Any person who is restricting their caloric intake to 500 calories per day is going to lose weight. The HCG and vitamin B-12 injections work together, synergistically, to maximize fat burning during this time and also, and perhaps most importantly, they keep you from feeling hungry. Practically speaking you are not going to stick to a 500 calorie per day diet if your stomach is grumbling for food. You are probably also not going to be a very happy person to be around, and you’ll be losing weight from all the wrong places. The HCG diet program is about creating the right conditions that make weight loss possible. We hope this answers your HCG diet program question and what our program can potentially do for you. Jack in Lincoln NE asks: I am almost 80. Am I too old for your HCG weight loss program? You are never too old to make a positive change in your life when it comes to losing weight, eating better and taking care of yourself. This is true whether you live in Lincoln NE or Lansing MI. If you are almost in your 80s, you are probably doing more than a few things right. However, whether our HCG weight loss program is right for you is something that cannot be answered here. You will need to fill out the medical history form and be sure to list any and all medications you are taking on a daily basis, as well as any health problems you have. If you are cleared to begin the program, then best of luck to you. If you are not cleared for the program, the HCG diet program for weight loss can still provide you with inspiration for healthy eating choices of lean proteins, fresh veggies and avoiding starches and sugars. These are the kinds of healthy eating lifestyle changes that can be made by just about anyone regardless of whether they are able to participate in the complete HCG diet program. Emily in Henderson NV asks: Do HCG diet program injections hurt? When some people first hear about our diet they are concerned they will not be able to do the program because of the once daily injections of HCG and vitamin B-12 that are part and parcel of this program. People are really spooked by the thought of HCG diet program injections. Much of it goes back to when they were small kids getting shots at the doctor’s office. We don’t want to minimize or down play this concern because it is real and it can be a major barrier for some who would otherwise embrace this program. What we can say is that the needle used for the injection is very small, and it is NOT an intramuscular (into the muscle) injection. The needle just goes right under the layer of skin where there are relatively few nerve endings. Do HCG diet program injections hurt? Perhaps a little. However, many of our clients report they are virtually pain free. We hope this sheds some light on the issue for you in Henderson NV. Carl in Fort Wayne IN asks: Are HCG diet program side effects serious? Thanks Carl for your question from Fort Wayne IN. For the vast majority of people who undertake the HCG diet program there are few if any side effects and serious side effects are probably extremely rare. That said, any medication has the potential for side effects. Be sure to read the package insert that comes with your medications and contact your pharmacist if unpleasant, lasting side effects occur as a result of taking HCG or vitamin B-12. If you suspect a serious side effect from taking HCG or vitamin B-12, it is best to stop taking the medication and contact our medical advisor or your doctor. We have not had any serious side effects reported from our clients as a result of taking HCG and vitamin B-12, and our doctors have a great deal of experience prescribing these for weight loss. Michelle in Jersey City NJ asks: Why does HCG for your HCG diet program have to be given by injection? Hello, Michelle from Jersey City NJ. HCG is a delicate hormone that breaks down easily. The gastrointestinal tract, also known as the GI tract, is what is known as a hostile environment to HCG and therefore breaks it down, or partially breaks it down, before it can be absorbed into the blood stream. The reason HCG is given by injection is to bypass the GI tract and avoid this problem. Some stores tout oral (by mouth) HCG preparations but we have found these products to be of no value. The HCG in them—if there is any at all—is broken down before the body can ever use it. There is never a question about the HCG that our HCG diet program calls for. The reason is that it is standardized, be a prescription preparation manufactured according to FDA regulations and with their oversight.